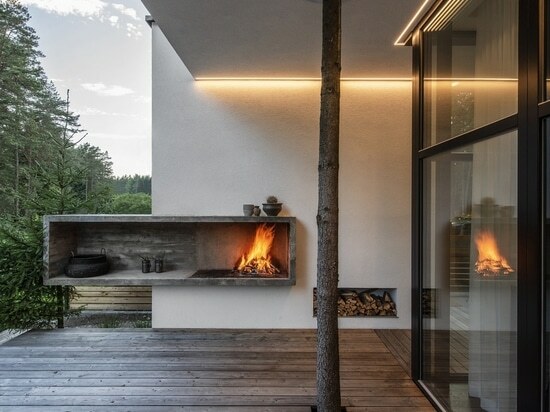 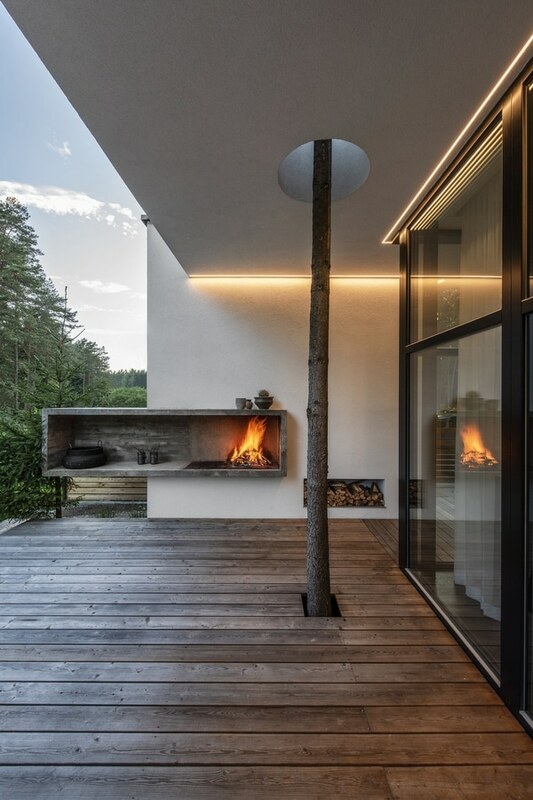 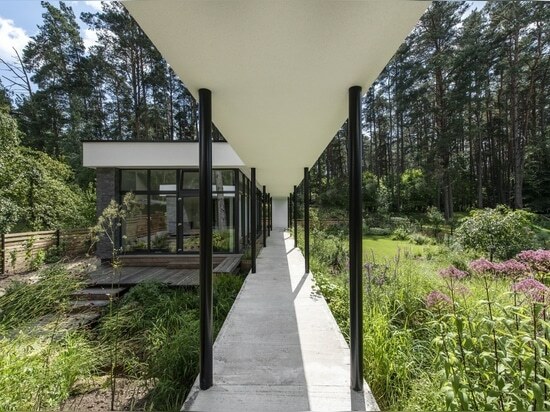 Bridge House designed by ArchLAB studio, Expressive modern style house is designed in a lot surrounded by nature. 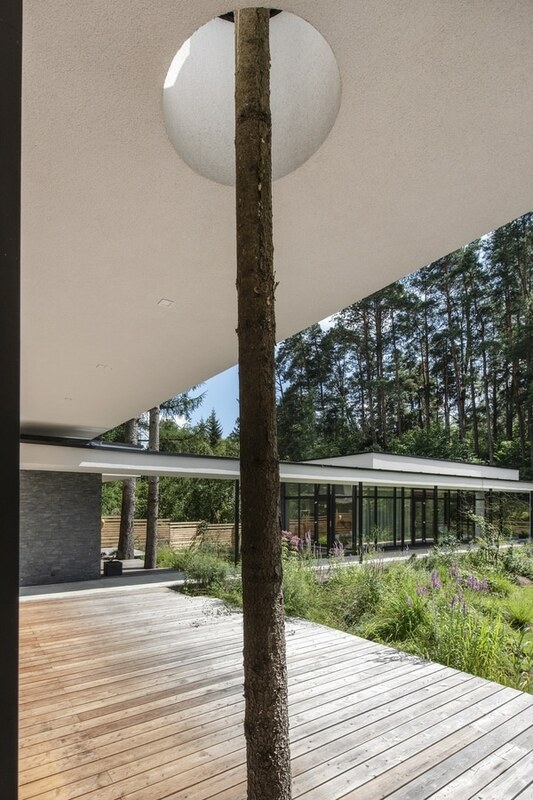 Pine forests are on two sides of the lot. 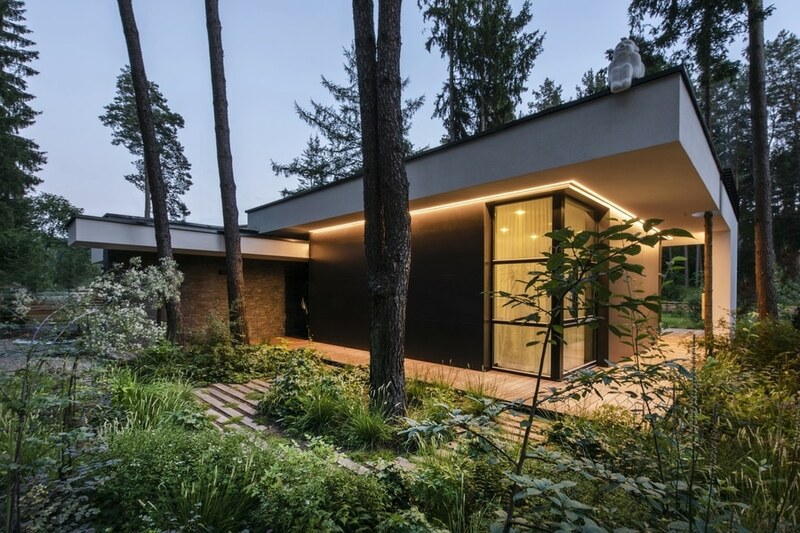 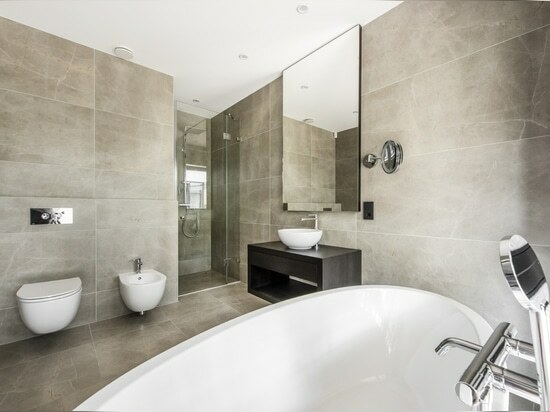 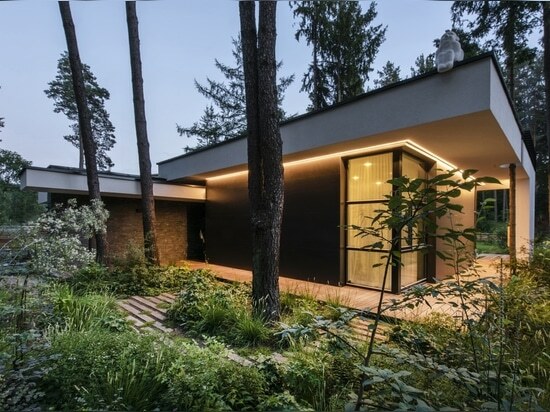 It was clients desire to find such an oasis in nature with a small river or creek, what became a specific task for Architects, because the flowing water divided the land into two parts. 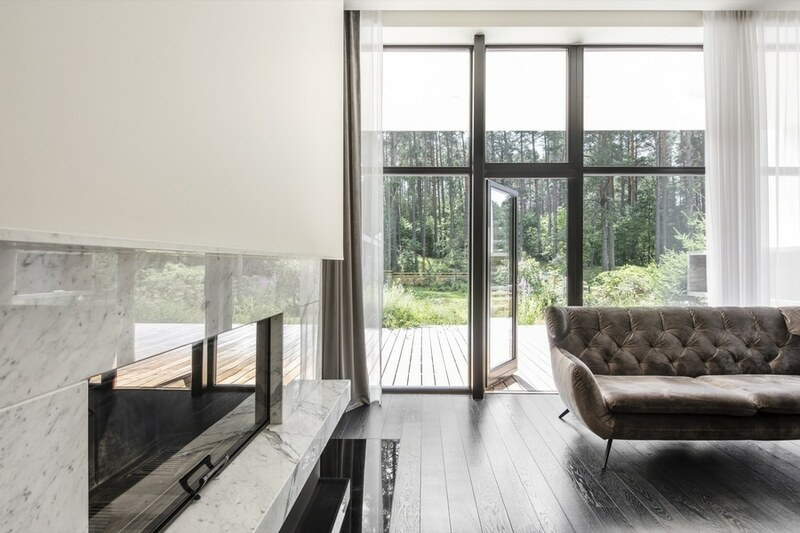 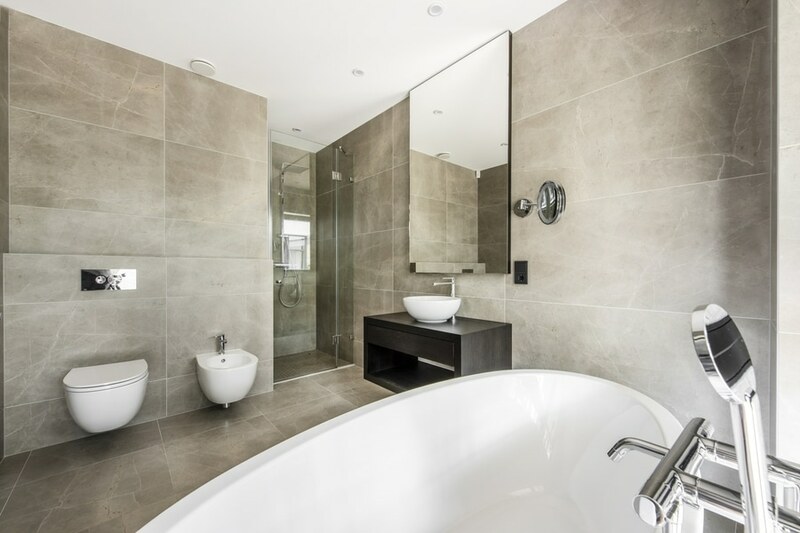 Large windows connect the interior and exterior spaces, what creates a cozy and calm atmosphere for residents and their guests. 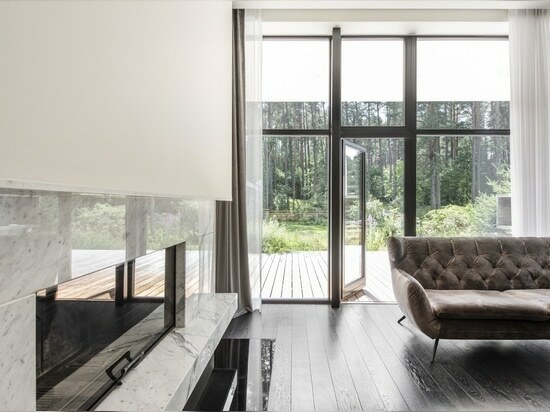 Much attention has been devoted to supplementing the design with subtle landscaping, open fireplace, and wooden terraces, where you can relax listening to the sound of water, enjoy a wonderful view. 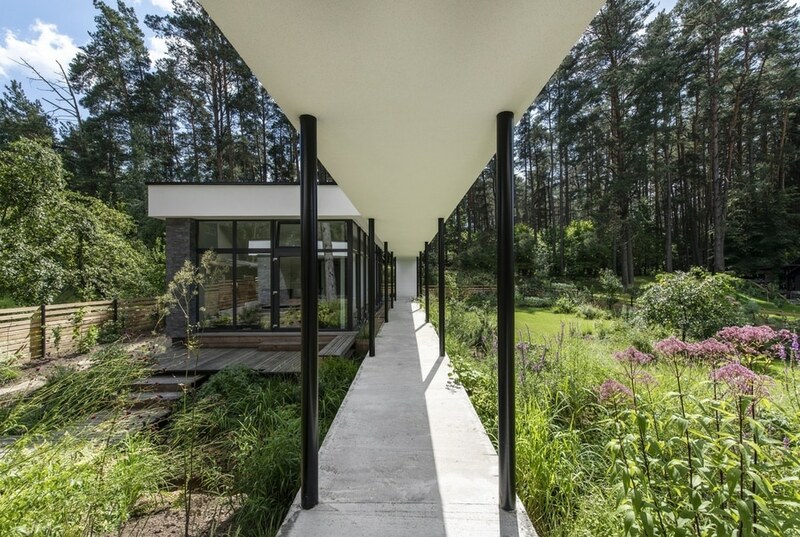 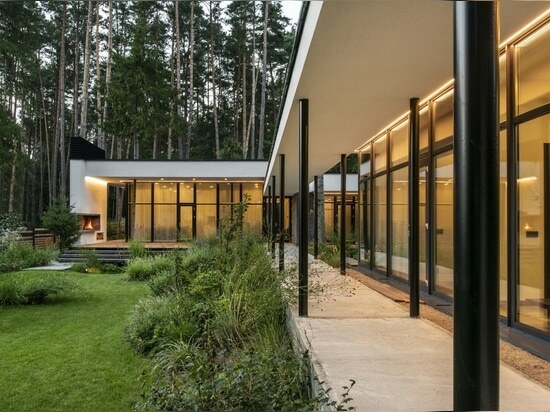 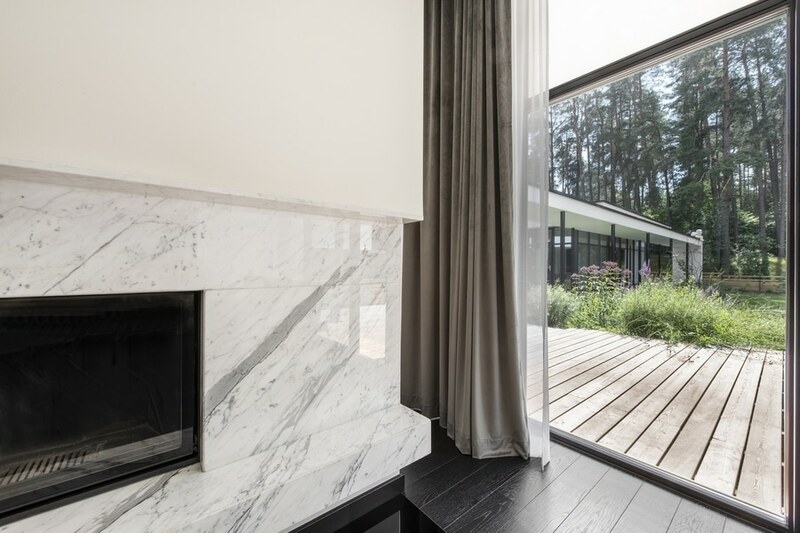 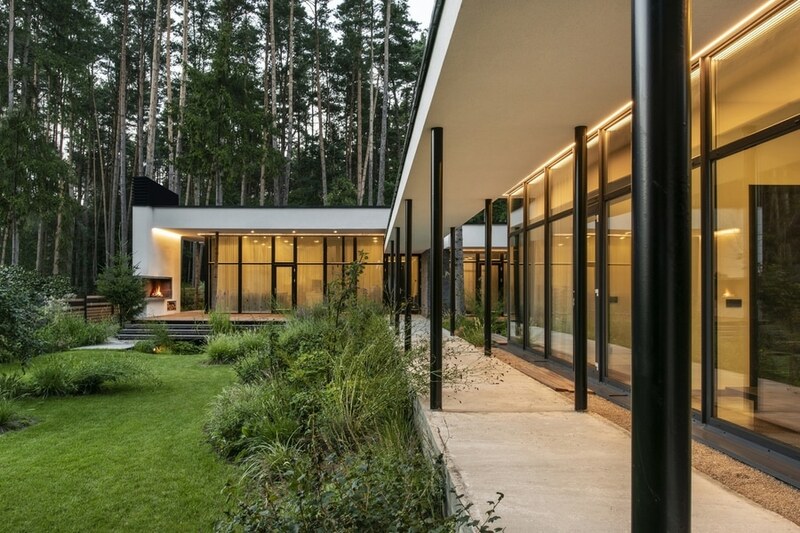 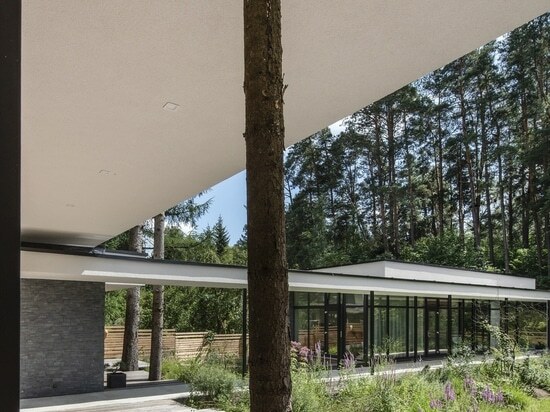 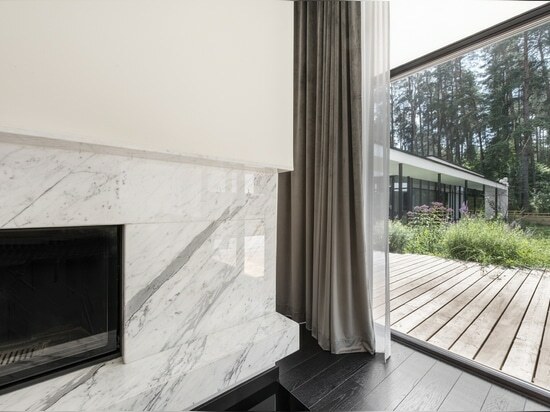 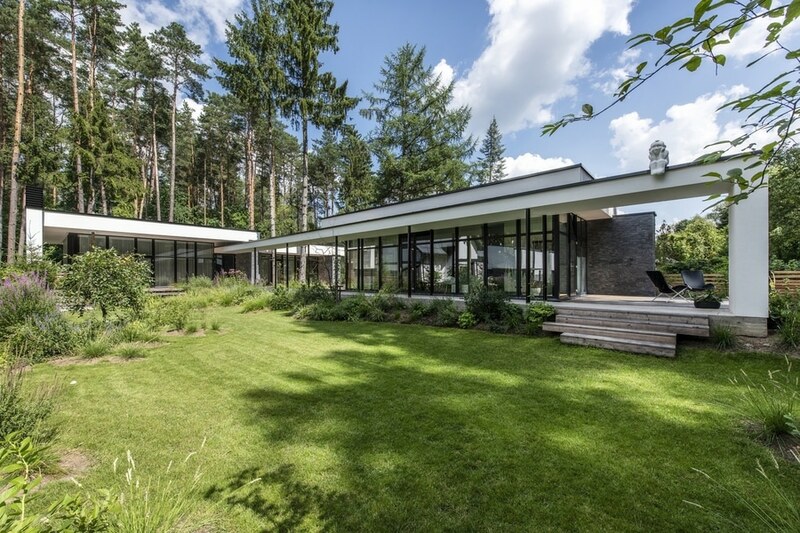 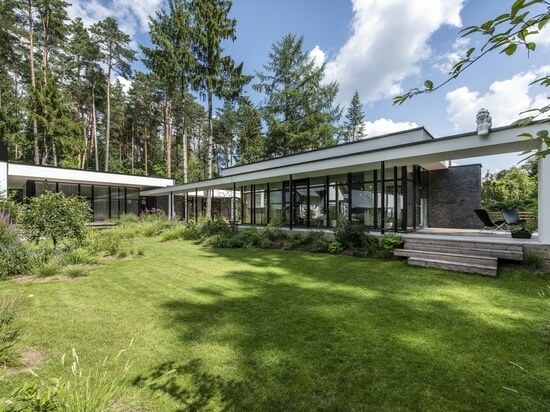 In the final result, the modern lines of the white house are even more prominent with a green natural environment.